We surpassed quite a few goals at the local, state, and national level these last couple of months, so we thought we would highlight them in this month's ASCE OC Newsletter! Please help us congratulate those mentioned below. What better way to celebrate National Engineers Week than by showcasing some of the best of the best projects and individuals in Orange County, among a record-breaking number of attendees, sponsors, and all within such an awesome venue! 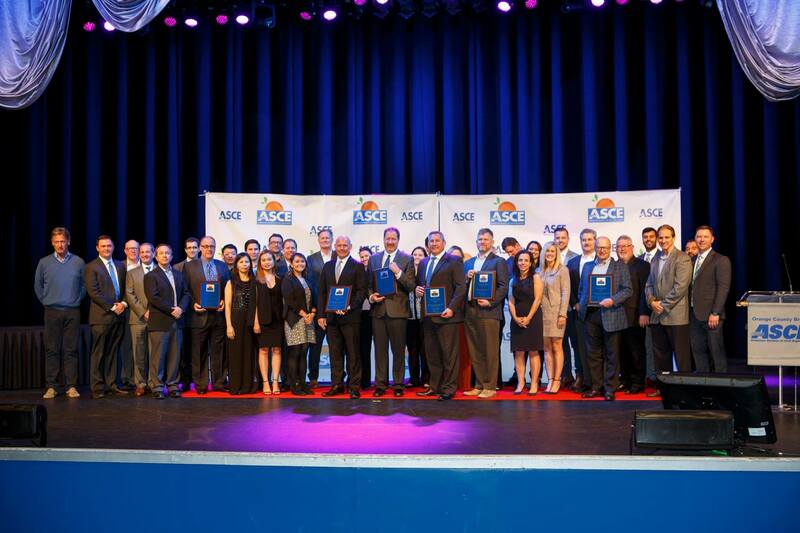 Thank you for making the ASCE OC Awards Dinner such a fun and amazing event on February 21st, 2019! It was great to see 280 members of our industry come together to celebrate each other and our accomplishments. On behalf of the ASCE OC Branch, I would like to especially thank Chuck Karunathilake, Jazzy Quinabo, Jeff Braun, and Juliet Su for their great leadership in ensuring the event's success. So many of our members were engaged and involved with the planning process in one capacity or another, however, so we would also like to thank the ASCE OC Social Committee, ASCE OC Marketing Committee, and the ASCE OC Awards Committee. 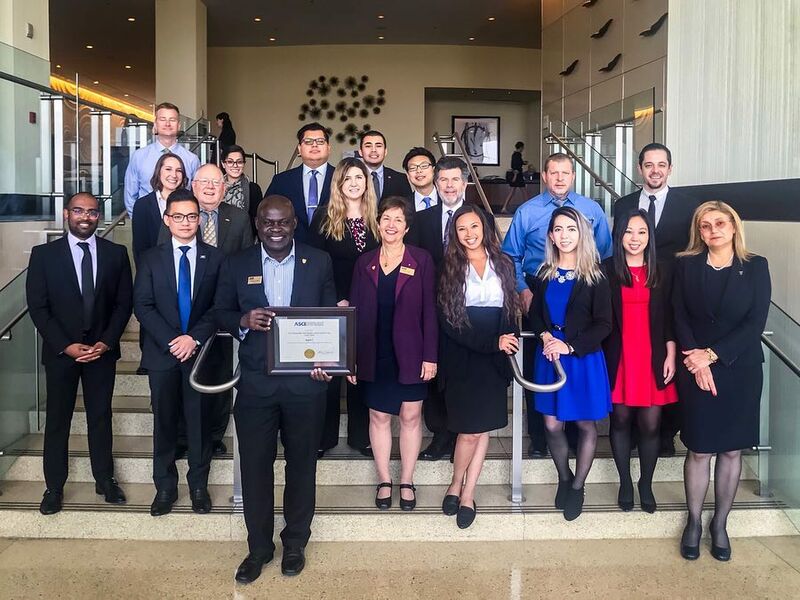 The ASCE OC Geo-Institute and Professional Development Committee co-hosted a half-day seminar on February 22nd, 2019 in Irvine, California. The seminar covered a wide spectrum of ground improvement methods and was attended by nearly 100 practicing engineers, academics, and students! 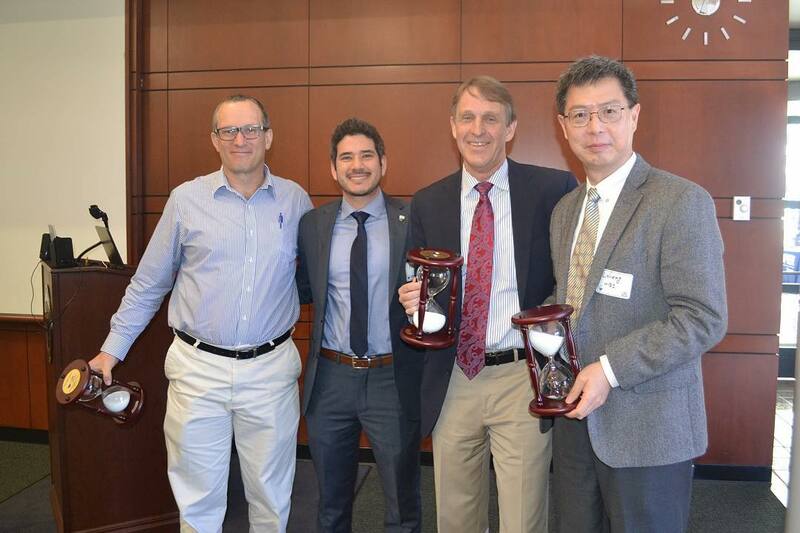 A special thank you to our presenters Dr. Lisheng Shao (Hayward Baker), Professor John Harvey (UC Davis), and Professor Kyle Rollins (Brigham Young University)! 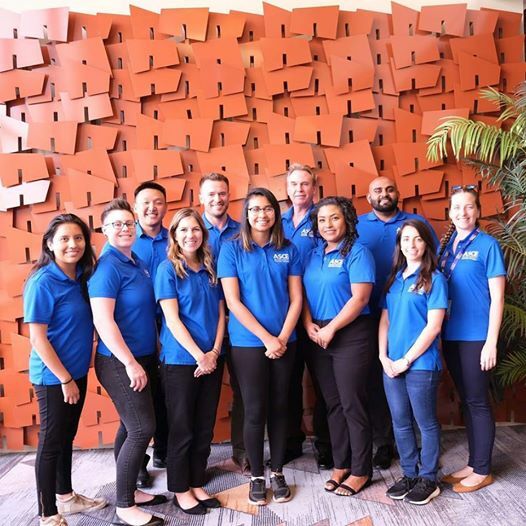 At the ASCE Multi-Region Leadership Conference (MRLC) in Hawaii, ASCE OC YMF placed a bid to host the 2021 ASCE MRLC in Orange County... and WON! Congratulations to all who were part of the team that helped make this possible, especially Joseph Huynh and Andy Nguyen for leading the effort. This year’s ASCE Advocate of the Year Award was presented in the Team category to Region 9 (California). The Government Relations Committee and State Infrastructure Report Card Committees worked together over the past year to ensure that 10-cent per gallon gas tax increase that was enacted in 2017 remained in place. They were successful in passing Prop 69 in June 2018, which enacted a lockbox, and more importantly, defeating Prop 6 in November, which ensured the gas tax to not be repealed. Woot! Woot! 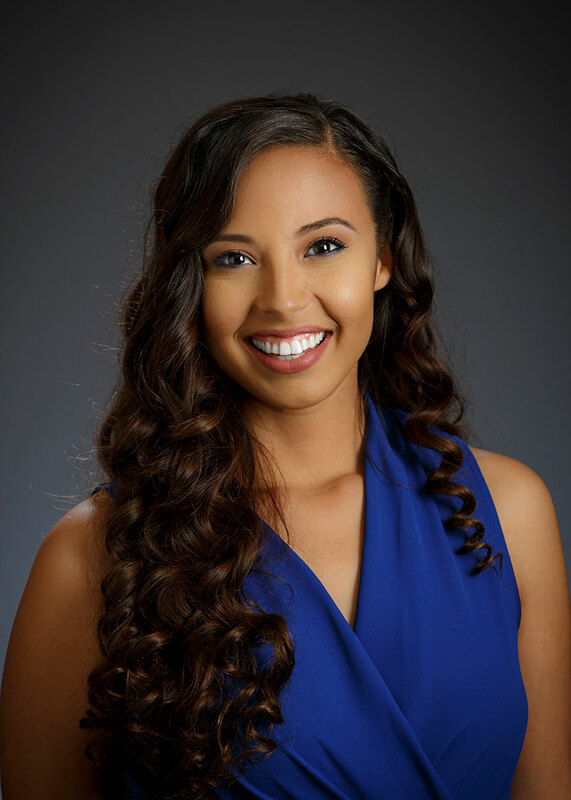 Huge congratulations to all of our local ASCE OC Members who helped make this possible! 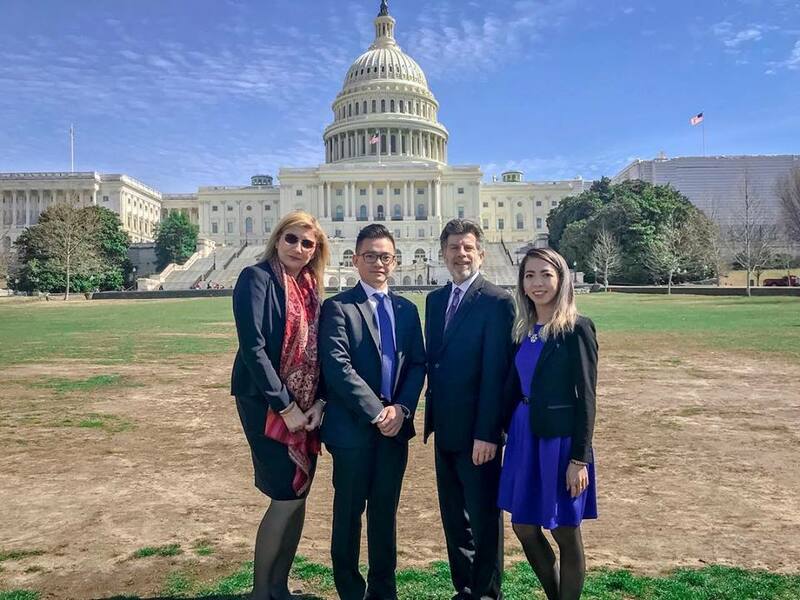 On March 12-13, 258 ASCE members from 50 states, DC, and Puerto Rico arrived on Capitol Hill to advocate for infrastructure and the civil engineering community. Armed with everyday civil engineering experiences, issues briefings, and insight from keynote speakers, attendees spent Wednesday afternoon advocating for a 25-cent per gallon motor fuels tax increase to help fix the Federal Highway Trust Fund, full funding of key infrastructure programs in FY2020 and urged Members of Congress to follow ASCE’s Principles for Investment as they draft a bipartisan infrastructure bill. We had a record-breaking number of attendees, speakers, congressional visits, and Younger Members in attendance! Huge thank you to MJ Hashemi, Lenard Tran, Kenneth Rosenfield, and Adeleine Tran for representing ASCE OC!